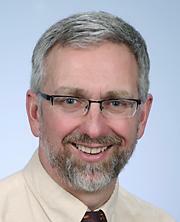 Dr. Jerry A. Molitor is an Associate Professor of Medicine in the Division of Rheumatic and Autoimmune Diseases at the University of Minnesota Medical School. Dr. Molitor earned his PhD in Microbiology and Immunology at Duke University, where he helped develop evidence of a family of NF-kappa B nuclear transcription factors in T lymphocytes. He completed his MD at the University Of Iowa College Of Medicine. Dr. Molitor completed his Internal Medicine Internship and Residency, as well as a Rheumatology Fellowship, at the University of Washington. Dr. Molitor conducted numerous clinical and translational research projects through the Benaroya Research Institute at Virginia Mason, where he was Director of the Arthritis Clinical Research Unit from 2001-2007, and Associate Director of Clinical Research from 2004-2007. He joined the University of Minnesota in 2007, where he heads the multidisciplinary Scleroderma clinic. He has participated in the Scleroderma GWAS, and in multiples studies of Systemic Sclerosis biomarkers and natural history, as well as in various aspects of drug development. Dr. Molitor has clinical research interests in Early Rheumatoid Arthritis and Systemic Sclerosis pathogenesis and disease prevention, and has been a consultant or investigator in multiple trials of candidate therapies for these conditions. His translational research focuses on understanding the interplay between impaired immune responses to infections and associated autoimmunity. He leads current studies examining this phenomenon in individuals with periodontal disease and the development of Rheumatoid Arthritis–associated autoantibodies.